PRICE DROP FROM $42,984. 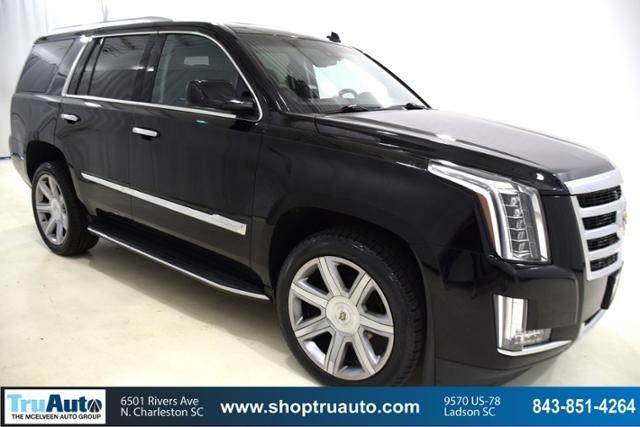 Nav System, Moonroof, Heated Leather Seats, Quad Bucket Seats, Rear Air, Power Liftgate, 4x4, Hitch AND MORE! 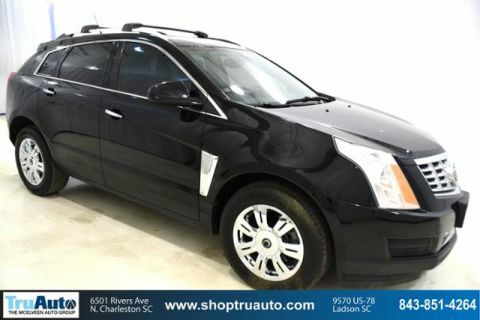 Leather Seats, Sunroof, 4x4, Quad Bucket Seats, Power Liftgate, Rear Air, Heated Driver Seat, Heated Rear Seat, Cooled Driver Seat, Back-Up Camera, Running Boards, Premium Sound System, Satellite Radio, Onboard Communications System, Trailer Hitch Keyless Entry, Privacy Glass, Remote Trunk Release, Steering Wheel Controls, Child Safety Locks. TRANSMISSION, 6-SPEED AUTOMATIC, HEAVY-DUTY, 6L80, ELECTRONICALLY CONTROLLED with overdrive and tow/haul mode, ENGINE, 6.2L V8 WITH ACTIVE FUEL MANAGEMENT Spark Ignition Direct Injection (SIDI) and Variable Valve Timing (VVT), includes aluminum block construction (420 hp [313.2 kW] @ 5600 rpm, 460 lb-ft of torque [621 N-m] @ 4100 rpm) (STD), CADILLAC CUE INFORMATION AND MEDIA CONTROL SYSTEM WITH EMBEDDED NAVIGATION AM/FM stereo, 8 diagonal color information display featuring touch response, haptic feedback, gesture recognition and Natural Voice Recognition. Five USB ports, including one in the articulating storage door/bin, SD card slot and auxiliary audio port (STD). 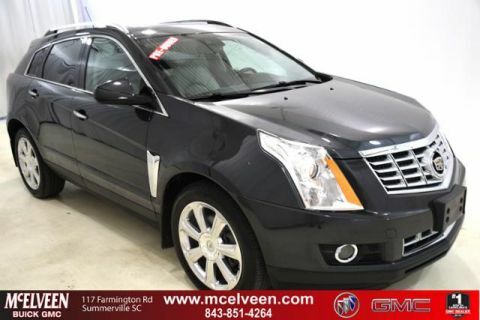 Cadillac Luxury with BLACK RAVEN exterior and JET BLACK interior features a 8 Cylinder Engine with 420 HP at 5600 RPM*. Edmunds.com's review says Steering effort is light at low speeds to facilitate easier parking. 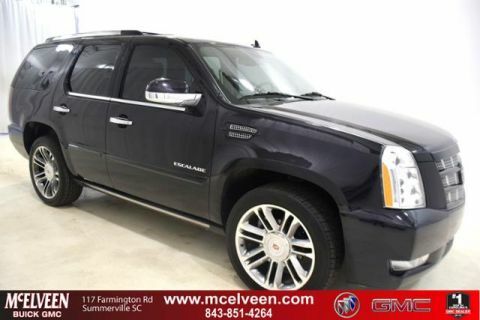 The Escalade also feels solidly planted to the pavement when going around turns..